The artificial intelligence behind the Horizons Active A.I. Global Equity ETF (MIND), developed by Korea-based Qraft Technologies Inc., has apparently never heard the phrase "sell in May and go away." 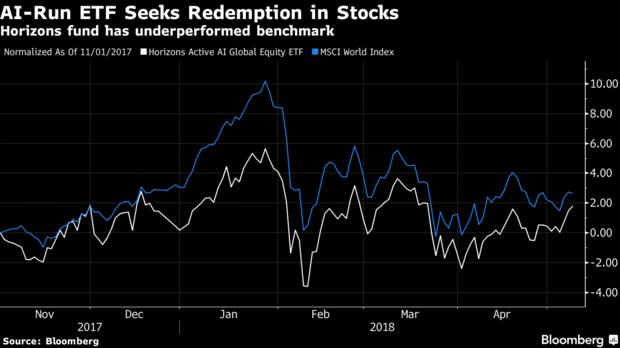 The Canadian exchange-traded fund, which became the first global equity ETF run by robots when it launched in November, went all in on stocks when it rebalanced on April 30. It reduced its cash position to 1 percent from the 25 percent maximum it can hold, and increased its equity exposure to 99 percent.